If you believe you have cause to contest a Will, or the Will of a loved one is being contested, we can help. This is a highly complex area of Law so it’s important to get specialist advice as soon as the problem arises. At Robinsons, we have friendly, approachable solicitors who deal with this type of case regularly and they’ll guide you through the important steps you need to take next. Some of the reasons a Will might be contested include; concerns that the deceased was under pressure to make the Will or didn’t have the capacity to understand what they were signing. Another possibility is that someone not included in the Will believes they have a right to maintenance from the deceased’s Estate. Whatever the circumstances, we understand how stressful this situation can be, but by calling us today you’ll be on your way to finding the answers you need. Mr Clark has a number of reported cases in this complex area including acting for the Claimant in the highly publicized “Supple” case in which a will was declared to be a forgery by the High Court. The case is now reported as Supple v. Pender  WTLR 1461. Representing clients in the removal of Executors ,Administrators and Trustees from office where there has been delay or bad faith in the administration of an estate or Trust. Such applications are made to the High Court in London. Mr Clark acted for the successful claimant in the removal of a personal representative in the reported case of Heyman and Another v Dobson  All ER (D) 275. The reasons for Inheritance Claims can be varied but some of the most common include; being left in financial difficulty following the death of a family member or loved one, being unfairly cut out of a Will, concerns about the deceased’s state of mind when the Will was signed or believing that someone may have misappropriated funds from the deceased either before or after their death. These can be very distressing issues to deal with at what is already a difficult time, but our specialist team can help. Whether you’re the person making the claim or the claim has been made against a loved one’s Will, coming in to see us will be a step towards finding a resolution. If you’ve suffered a loss due to the negligence of a professional in whom you placed your trust, you have a right to be compensated. This applies to Legal Professionals, Property Professionals, Financial Advisors and Accountants, but strict time limits apply to claims of this type so it’s very important to act early. You’ll need to show that you were owed a duty of care by the professional and that your loss was as a result of this duty of care being breached. It isn’t uncommon to feel apprehensive about bringing this kind of action but our specialist team will examine all the details of your case so that if a decision is made to proceed you can do so with confidence. If you’re currently involved in a boundary dispute that you’ve been unable to resolve amicably, you’re probably considering what steps you should take next. We know this type of issue can be extremely stressful and understand you’ll want to avoid the dispute escalating unnecessarily. At Robinsons, we have specialist property solicitors who will look carefully at your case and suggest ways the dispute might be resolved without the need for lengthy legal battles which can prove costly. An Alternative Dispute Resolution (ADR) such as mediation can be an effective and affordable way to find a resolution but if this proves unsuccessful we’ll advise you on the steps you need to take next to achieve a positive outcome. If you’ve rented out a property, or part of a property even on an informal basis, then you’ve created a legal relationship with your tenant, giving you both rights and responsibilities under current housing legislation. If you’re a landlord or a tenant and a problem has arisen, we can help. Once we’ve established the type of tenancy that’s been created, which will depend on the date it began and the terms that were agreed at the time, we will then advise on the problem you’re currently facing. If you’re about to enter into a Tenancy Agreement and would like advice from one of our specialist Landlord & Tenant solicitors give us a call and we’ll see how we can help. A question we’re often asked is, if a contract must be in writing to be considered legally binding and the answer is, not necessarily. Depending on the circumstances, verbal contracts can be enforceable if certain conditions are met, but where a dispute has arisen it can be harder to prove your case. Where a valid contract exists, whether it relates to a building issue or other type of agreement, both parties have a legal requirement to fulfil their obligations. If you are a party to any type of contract, either written or verbal which you consider has been broken, our specialist litigation solicitors can offer guidance on how to claim compensation for any losses you have incurred as a result of the breach. 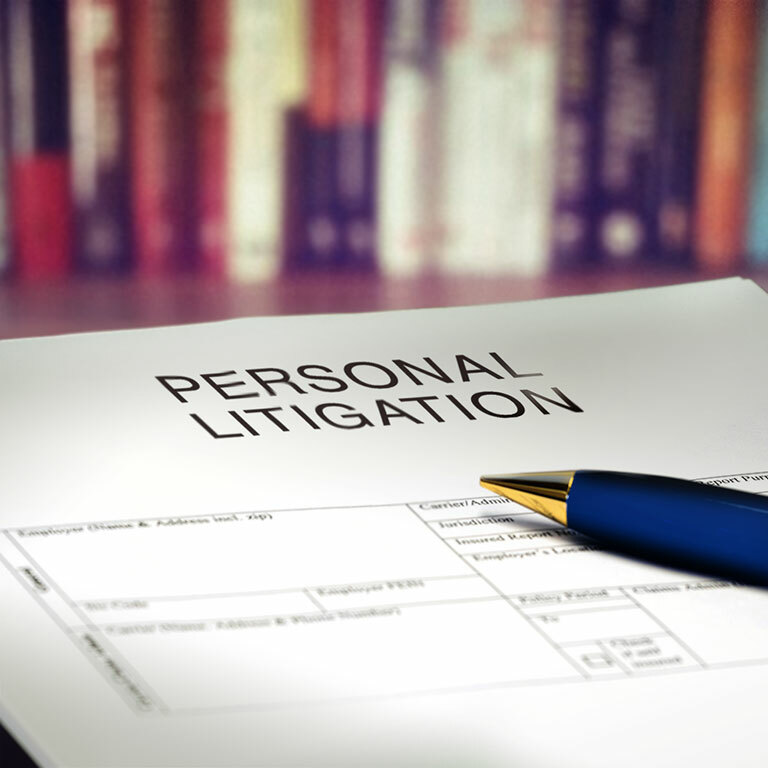 Particularly in litigation there may be various funding options to pursue your claim. You may have Legal Expenses Insurance as part of your household insurance policy or your case may be suitable for a Conditional Fee Agreement (no win no fee). No win no fee agreements are particularly suitable for Professional Negligence and Inheritance Claims and we can usually secure insurance to pay the opponents costs in the event of an unsuccessful claim. We will advise you on your most appropriate funding option at the outset.